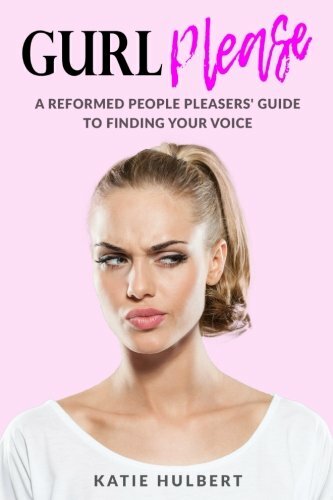 “Gurl Please: A Reformed People Pleasers’ Guide to Finding Your Voice,” by Katie Hulbert describes the people-pleasing lifestyle as a common lifestyle not chosen deliberately. The author challenges the reader to stop putting everyone else’s needs above their own by exploring all the different layers that make up the lifestyle. She goes over topics of how a person becomes a people pleaser, how to stop being a people pleaser, and describes her personal experiences with this topic. It discusses the ins and outs of being your most authentic self, rather than what others want or expect you to be. Although this book has a great overall message, the delivery of this content was a bit off for me, both visually and grammatically. There is frequent use of uncomfortable metaphors and the text often jumps from using profanity to embracing God; making it hard to follow, to say the least. If this book was read aloud, I would imagine the author yelling each word at me due to the tone the book gives off to a reader. That said, I do however believe that the author knows what she is talking about – her raw delivery method relays her no-nonsense approach and her passion for helping others overcome this lifestyle. In general, I found “Gurl Please: A Reformed People Pleasers’ Guide to Finding Your Voice,” by Katie Hulbert relays the message of creating mindfulness, building your own self-esteem, and owning your own story. Her message will surely be helpful to many people, even if it wasn’t done in my particular taste.